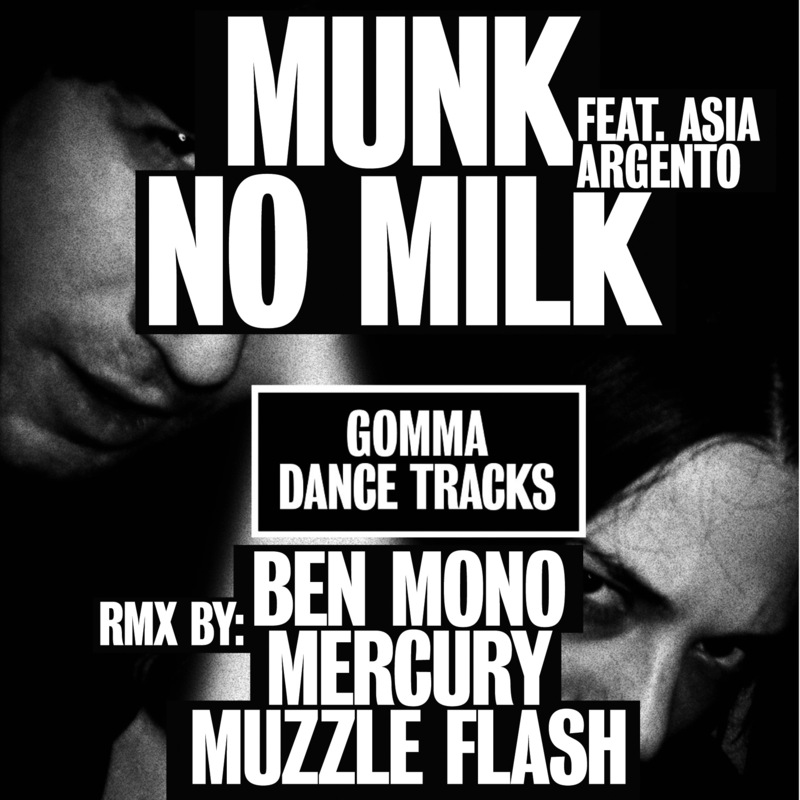 After the huge sucess of the last MUNK Remix single Back Down now here comes the next one: 3 new remixes of No Milk…..taken from the Cloudbuster album. 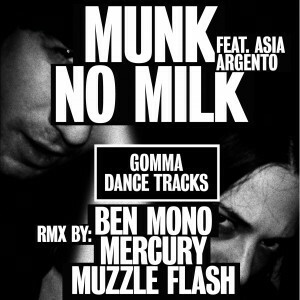 No Milk features Italian actress ASIA ARGENTO who already performed on MUNK’s Live Fast Die Old single. The biggest remix comes from Berlin’s superproducer BEN MONO. Ben plays bass in the MUNK live band, but your certainly know him from his own productions. He’s got this amazing fat bass-driven sound – comparable with the current music of people like LIFELIKE, BREAKBOT and SHAZAM. The same way of hard funk that rocks every dance floor!…and: when the percussions kick in the ladies start to scream! Remix No.2 by MERCURY. Two guys who did the infamous Bootleg Remix for PARRA aka LELE’s Breakfast Track. Hard House! And the last remix was done by Copenhagen’s upcoming House Genius MUZZLE FLASH..a close friend of Trentemöller and the WHOMADEWHO gang. This guy’s gonna be big one day!